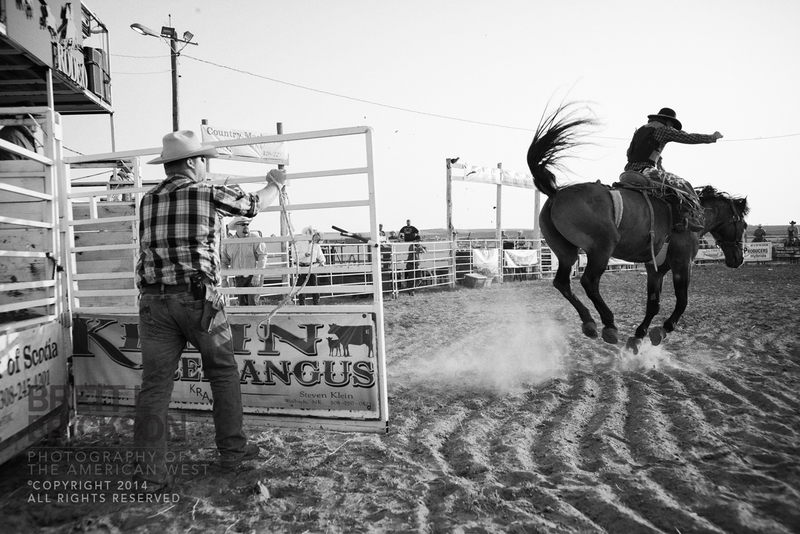 I learned long ago the Great Plains is populated by closet feminists, for here women are just as capable (and welcome) riders and ropers as men. 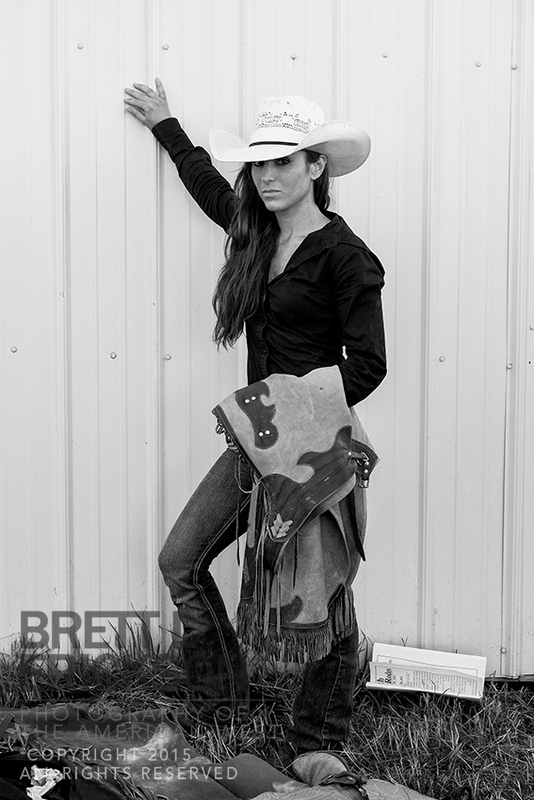 Just watch a few breakaway calf roping performances, and you’ll understand that in the wide spaces before the Rocky Mountains, women need not pull any punches. Tough as nails and happy to prove it. Ah, the unexpected. 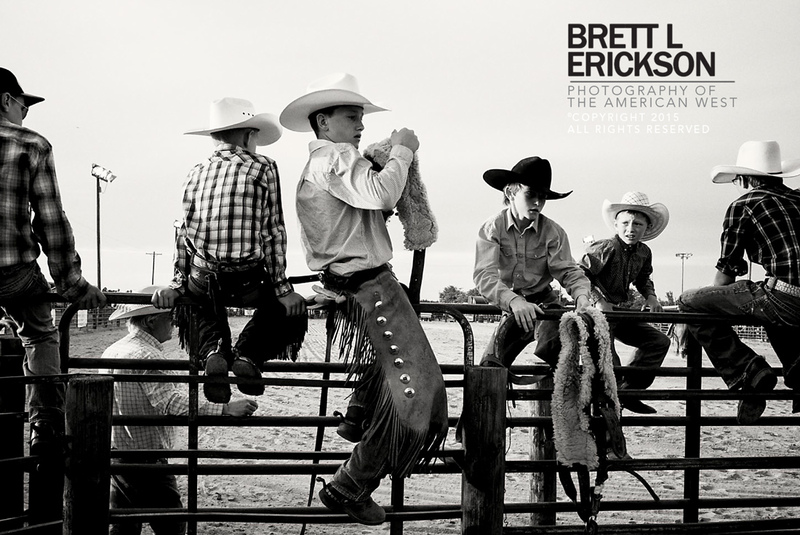 Photographically, it’s de rigueur at the small rodeos of the West, whether it be those in the crowd, the cowboys, the cowgirls or the children. 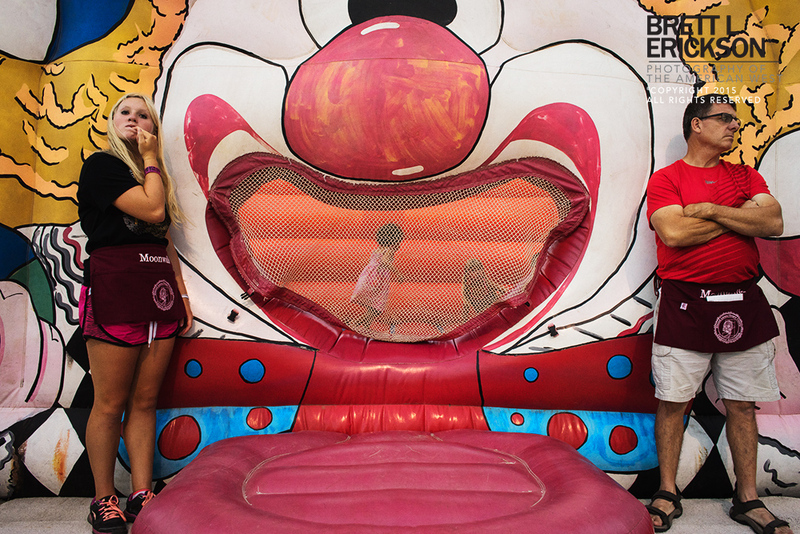 Honestly, while this project is about much more for me than novelty, it’s what often keeps me coming back to each and every backwater event I can find. This image is case-in-point. 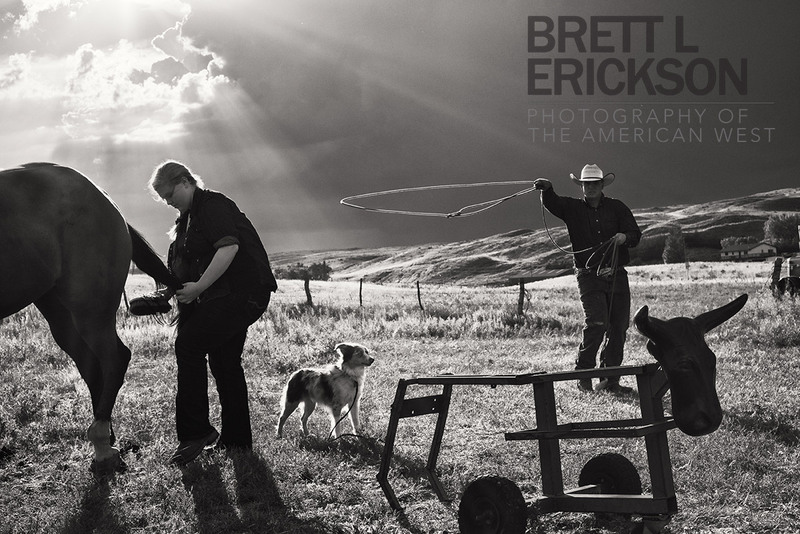 A storm rolling in on the horizon, a rodeo roper, his wife, his dog and his portable steer offered a compelling chance for an image with insights into the summer rodeo life in the Nebraska Sandhills. 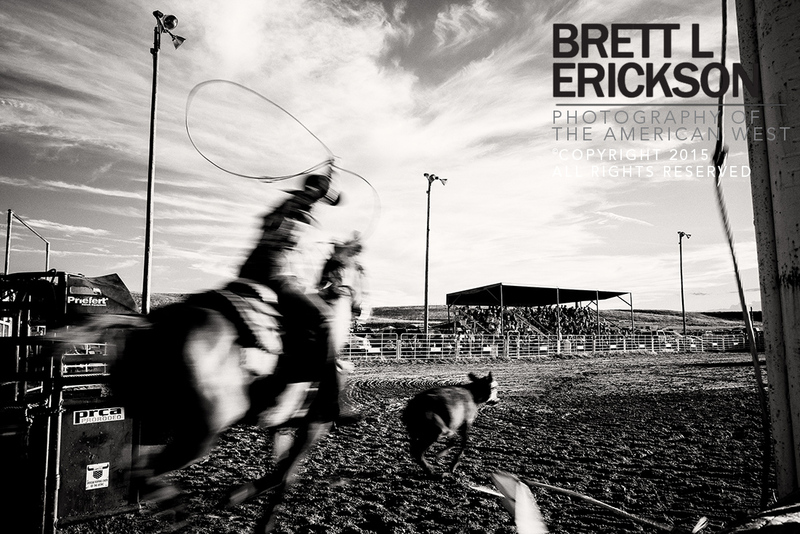 I love shooting rodeos–after all, they’re the subject of my next book. 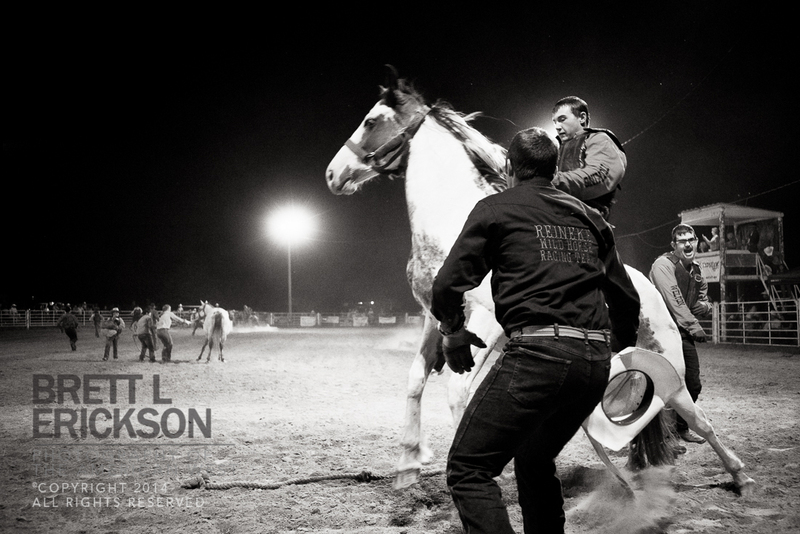 And at rodeos, wild horse races are by far one of the most energizing, terrifying events for a photographer. Horses and people bucking and running and shouting and riding all mean lots of danger, and that’s a certainty if one isn’t careful. But the photos are worth it. 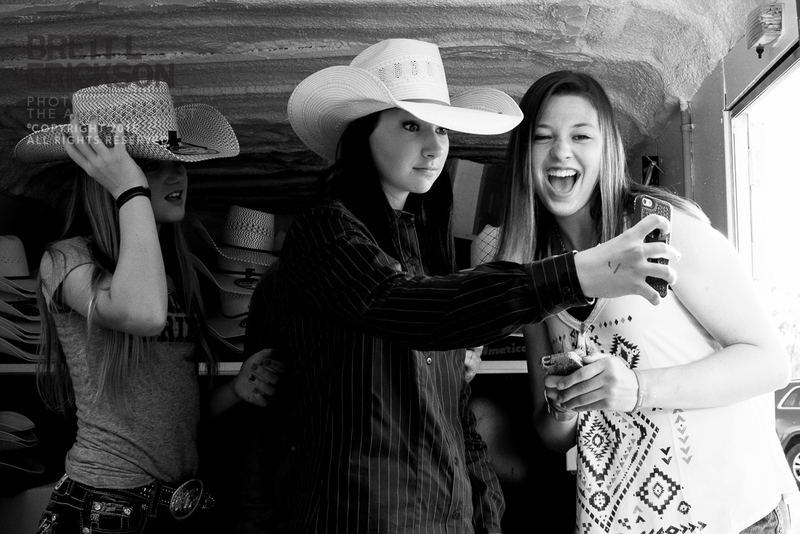 Rodeo stops for nothing. Nothing. A massive storm rolled through the skies over Arthur, Nebraska, for the Saturday performance at the rodeo, complete with massive wind, torrential rains, and…lightning. Big bolts of lightning. But no one moved, especially the cowboys. 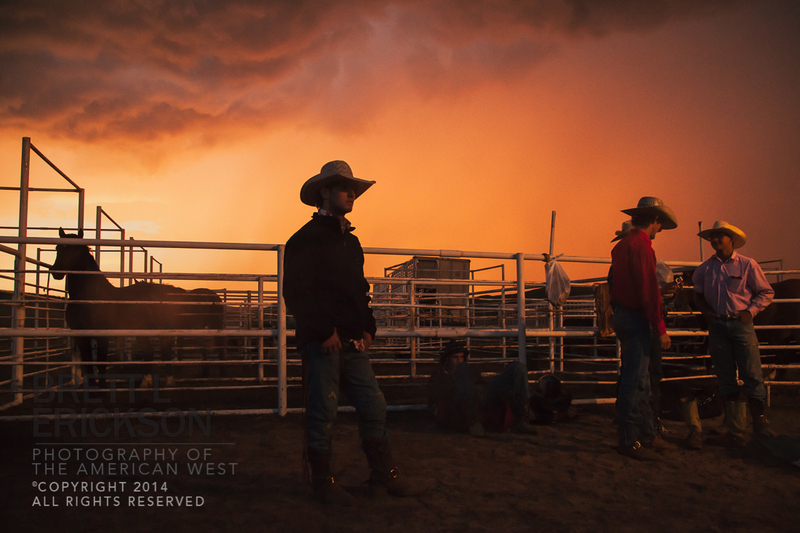 And so the festivities continued, and so did I, photographing–and I was rewarded with the storm and sunset and visual drama and…this image. 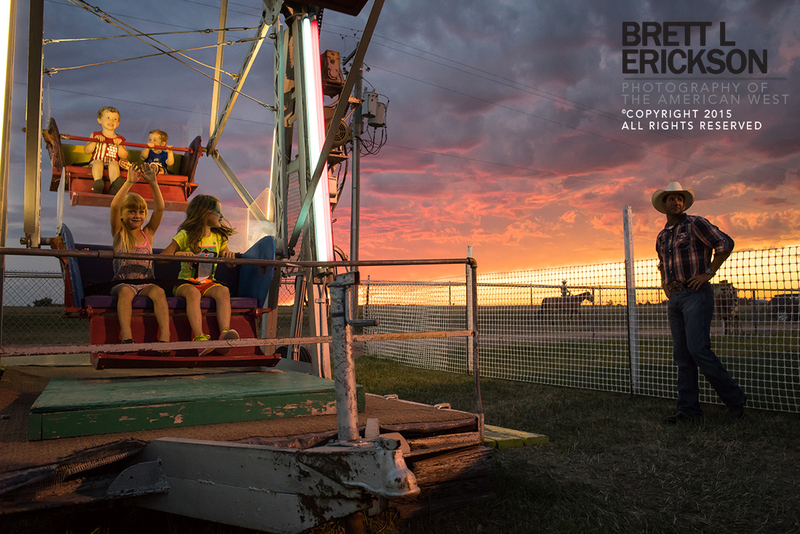 Many thanks to the Greeley Rodeo Committee for giving me carte blanche access to their rodeo this year–the shots were worth it and people were fantastic!